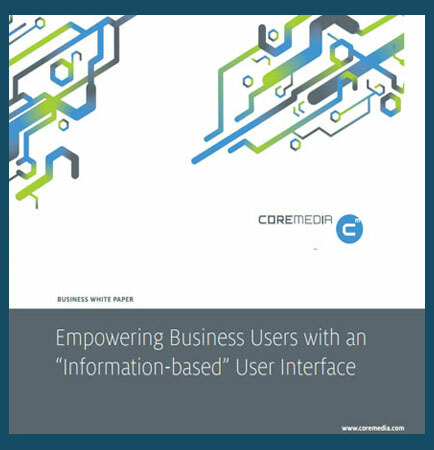 "An Information Based UI to Empower Business Users"
How to empower business users with information based user interface? Nowadays, organizations are looking for a way to more effectively empower business users to create, manage, and optimize the online experience for their visitors in a fiercely competitive environment. This whitepaper outlines the key capabilities that can empower business users to drive effective value on the web through a contextual approach and contextual digital online strategy. How can you empower business users to address the increasing demands of the evolving web? What are the five fundamental prerequisites essential for content creation and management in user interface? What are the benefits of information based user interface over traditional WCM system? Why traditional WCM editorial tools are falling short of meeting firms needs? How to use advanced web user interface to enhance productivity and empower business users? CSS or the cascading style sheet is a style sheet language, written in markup language, used for simplifying the process of making web pages presentable. It mainly deals with the look of the web page and thus works on the color of the text, font styles, paragraph spacing, background image, layout etc.CSS is mostly combined with markup languages HTML and XHTML. CSS was invented by Hakon Wium Lie, on 1994, and maintained by the World Wide Web Consortium (W3C) through their CSS working group. What is Graphical User Interface ? Graphical User Interface is a type of user interface designed especially for human-computer interaction. It allows users to interact with computer devices through graphical icons, and visual indicators instead of text-based interfaces, command labels or text navigation. For example: Microsoft Windows Operating Systems, Chrome OS, Apple MacOS, Ubuntu etc.